Free Shipping Included! 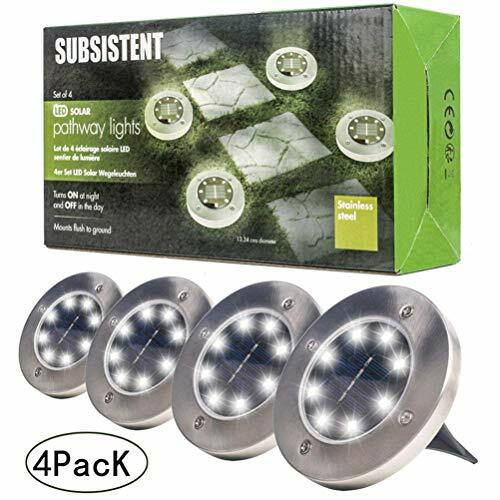 Solar Pathway Lights Outdoor, Solar Garden Light 8 LED, Water-Resistant for Garden, Path, Landscape, Patio, Driveway, and Lawn, Easy No-Wire Installation (4 Pack- White) by Subsistent at Outlet Shopping Guru. Hurry! Limited time offer. Offer valid only while supplies last. Our 8 LEDs SOLAR POWERED GROUND LIGHT ?The number of LED lights Our Solar Ground Light: 8 led bulbs, create wider and brighter lighting for you.